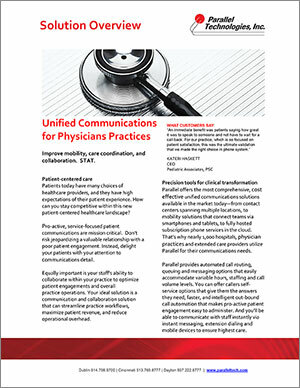 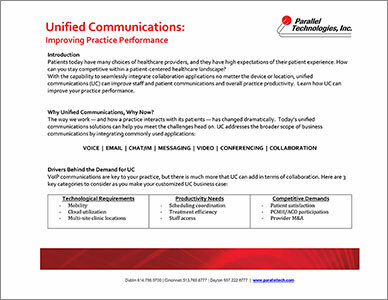 Patients today have many choices of healthcare providers, and they have high expectations of their patient experience. 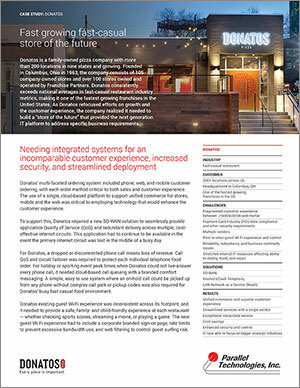 Donatos’ multi-faceted ordering system included phone, web, and mobile customer ordering, with each order method critical to both sales and customer experience. 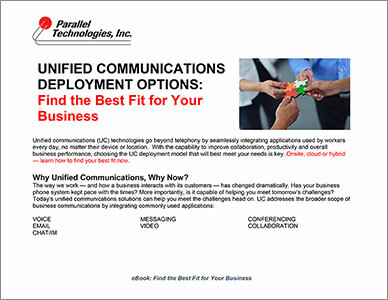 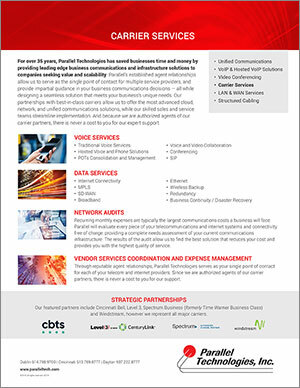 Parallel Technologies is a premier business communications provider that delivers integrated solutions including unified communications, VoIP, video and wireless services. 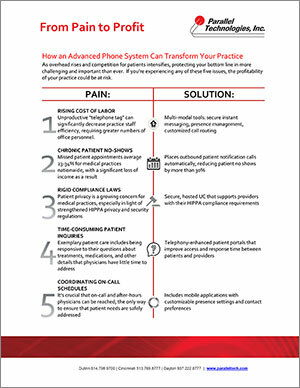 As overhead rises and competition for patients intensifies, protecting your bottom line in more challenging and important than ever. 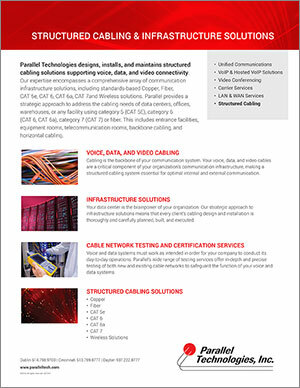 Parallel Technologies designs, installs, and maintains structured cabling solutions supporting voice, data, and video connectivity. 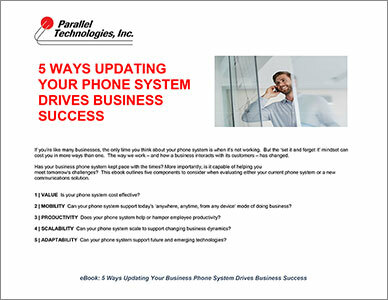 If you’re like many businesses, the only time you think about your phone system is when it’s not working. 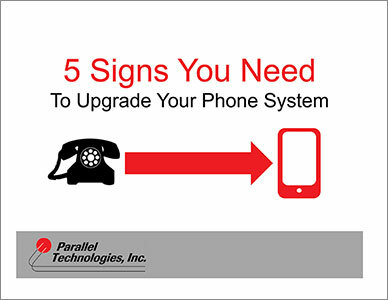 But the ‘set it and forget it’ mindset can cost you in more ways than one. 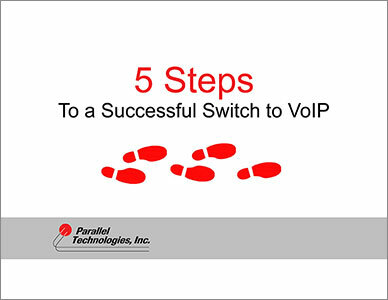 Switching your phone system to a VoIP provider may seem like a daunting task, given the vast array of cloud and onsite system providers out there, but it’s actually a pretty painless process – once you know what you need. 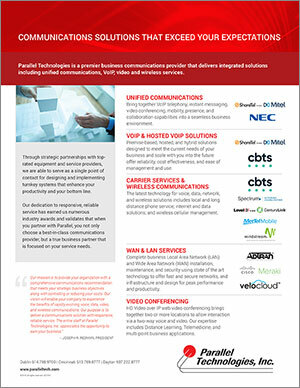 As a trusted partner, we take the time to understand your unique business needs and strive to continually exceed your expectations. 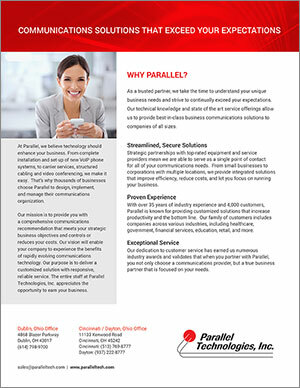 For over 35 years, Parallel Technologies has saved businesses time and money by providing leading edge business communications and infrastructure solutions to companies seeking value and scalability.